StereoData Maker (SDM) is a CHDK variant that simplifies using your CHDK enabled Canon Powershot camera. If you are unsure what CHDK is, please visit the wiki here. 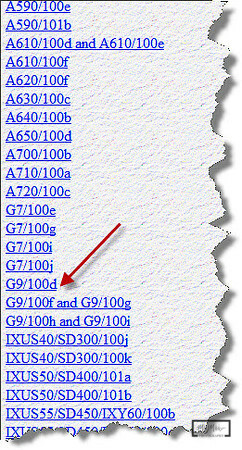 I personally use SDM on my Canon G9, and will hopefully use it on my G11 and SD990 someday. Being able to easily run scripts for Kite Aerial Photography is my main focus for using SDM, which allows for custom intervelometer sessions. SDM is also very handy for timelapse photography. I thought I would post instructions on how to download and install SDM on a memory card that is larger than 4GB, which is the size limit if you use the normal CHDK hack. These instructions are for windows users. Step 1: Download the common_files.zip from the StereoData Maker website. Unzip to a folder of your choice, but you'll need to also put the firmware in this same folder in the next step. Step 2: Download the proper firmware file for your specific Canon Powershot camera, and unzip to the same folder as the common_files.zip files. When you unzip, there should be a file called DISKBOOT.BIN, and this is the file you need to copy to the folder where you unzipped the common_files to. Step 3: Launch the sdminste.exe executable file. Step 4: Ensure that the Memory card that you want to use is unlocked, meaning the data protection tab on the SD card must be up. I have had problems with the SD Card reader that is built into my laptop, and other readers that do not support SDHC. 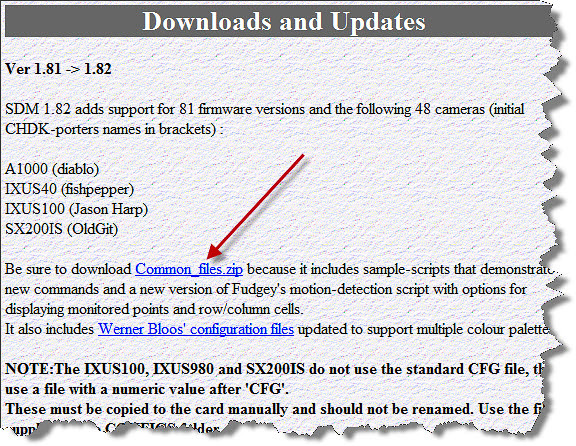 The reader that I use and recommend is a Lexar Professional UDMA CompactFlash/SD Reader supporting USB 2.0. Since I will be using an 8 Gig card, this showed up as my L: drive, which may be different for you depending on your system configuration. As you can see from the SDM Installer before I do anything, there is 1 Partition and 7816 MB available on this card. Click on New Install to get started. Step 5: Ensure that the option on the bottom for Card Size is set to Over 8GB (Two Partitions), and Click OK. Step 6: Click Yes when it asks you to continue to install SDM. Step 7: Remove SD Card from reader and press OK on window before proceeding. Step 8: Re-Insert SD Card Backinto reader, and click OK. Step 10: Remove SD Card from reader and press OK on window before proceeding. Step 11: Re-Insert SD Card Backinto reader, and click OK. Step 12: Click Yes if it asks you to confirm a Quick Format. Step 14: Click OK. Remove your SD Card, enable the lock tab on the SD Card down, and put into your camera. Step 15: When you turn you camera on, you should see a splash screen that says StereoData Maker, with the version number. On my G9, I press the Shortcut/Direct Print button, this activates SDM(CHDK), and pressing Menu brings up the SDM menu. Here is an example of the Wind Watcher script. 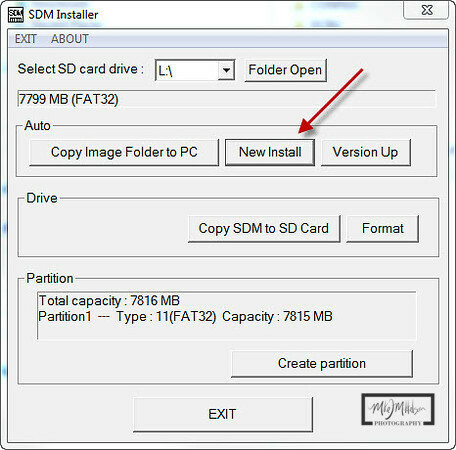 Here is an example of what the SDM Installer will look like if you have the data partition active. In order to copy scripts into the SCRIPTS folder, you'll need to make sure that the Data partition is active, and the card is unlocked. Basically, in order to use the SD card on your PC, it needs to be unlocked. In order for the SD Card to work in your camera, it needs to be locked. Need more help? 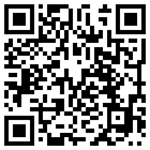 Visit the StereoData Maker website here. Camera doesn't start in locked mode..